I just love throwing Bridal Showers, so I was thrilled to partner with Papyrus today sharing a look at their beautiful ‘Happily Ever After’ Collection of Bridal paper goods and decor! 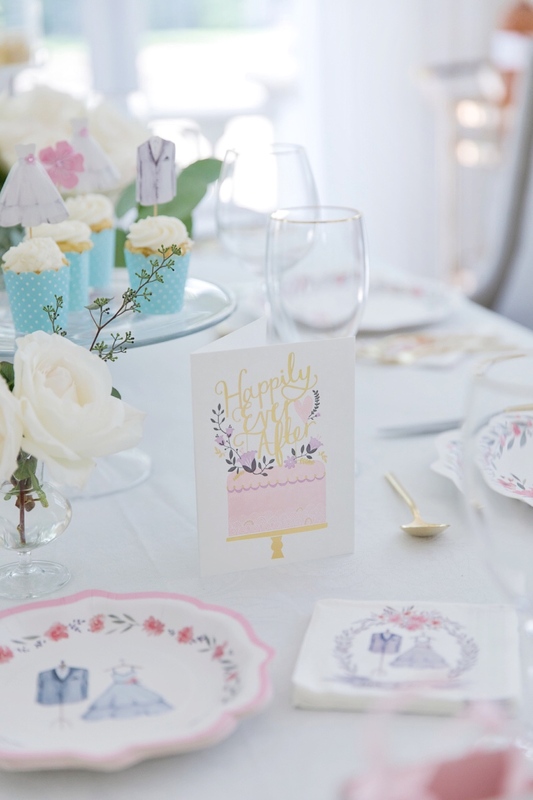 From fancy paper plates and matching napkins, to cupcake toppers, treat bags, and cards, Papyrus has so many beautiful pieces to include at your Bridal Shower Party! Today I created a dreamy Bridal Shower Party table and matching buffet in my dining room with all of the pieces from the collection! Isn’t it amazing how even paper can look so fancy when styled with beautiful desserts and classic white flowers?! I hope this inspires you Brides and Maid of Honors for your upcoming shower planning. And be sure to check in tomorrow as I will be sharing a closer look at the buffet table and some delicious brunch recipes I highly recommend serving! Want more Bridal inspiration? Be sure to check out my Wedding section. Thank you to Papyrus for partnering on this post.